Jonah (Ryan Kwanten) lives with his housemates Gus (Ryan Corr) and Stevie (Sarah Snook) and enjoys hosting parties. One night Jonah discovers something is wrong with his body and is taken to hospital. He is told that he has testicular cancer. He only has a limited amount of time before he will be operated on and won't be able to conceive children. Driven into a panic because of the uncertainty of his future, he attempts to call up as many of his exes as possible to see if they will conceive a child with him. Both his housemates are gradually drawn into this mess as they try and warn people about Jonah's mindset. Stevie is roped in the deepest as she reluctantly has to ask someone at work if they will be able to help Jonah. Not Suitable For Children, a delightful Australian film, is miles away from the local comedies produced in the early noughties. The earliest part of the decade was a major setback for Australian cinema, as the numerous comedies produced were idiotic and unfunny. Last year Red Dog was released and people went in droves to watch a film that was clever, funny and accessible. This film deserves the same response. It is one of the most entertaining local films I have seen in several seasons. There's utter professionalism about director Peter Templeman's work here. Photographed around Newtown in all her glory, the film is shot with utter clarity and precision. There's such detail and verisimilitude in the photography that we recognise this as a world that is familiar and continually vibrant. Thematically, that's important because it shows how the world is perpetual, refusing to slow for the characters in the story. This energised world is most evident in an early party scene, where Jonah moves aimlessly between people, connectionless. This also feeds into the idea of the uncertainty of adult life as you solely drift between stages, with no one waiting for you on either side. This concept of belated maturity rests steadily on an original premise and a pitch perfect understanding of comedy. The film might be about testicular cancer but the brand of comedy is low-key, observational and subtly drawn. The script and performances opt not for the cheap laughs or gross-out gags but to provide the audience with enough time and space to think for themselves. Take a scene where Jonah and Stevie talk to a lesbian couple about conceiving a baby. One of the women is attractive to Jonah, the other is clearly not. Listen to how loaded Jonah's dialogue is when he asks which one will be carrying the baby. We have a situation grounded in reality, as all good comedy should be, and what Jonah says is the punch line. The straight-faced comedy is further complimented by Stevie's confused facial expressions, making it a hysterical scene. The humour is masterfully controlled and I enjoyed the film a lot for that reason and laughed aplenty. Adding sophistication and humanity to the rest of the film are the performances. 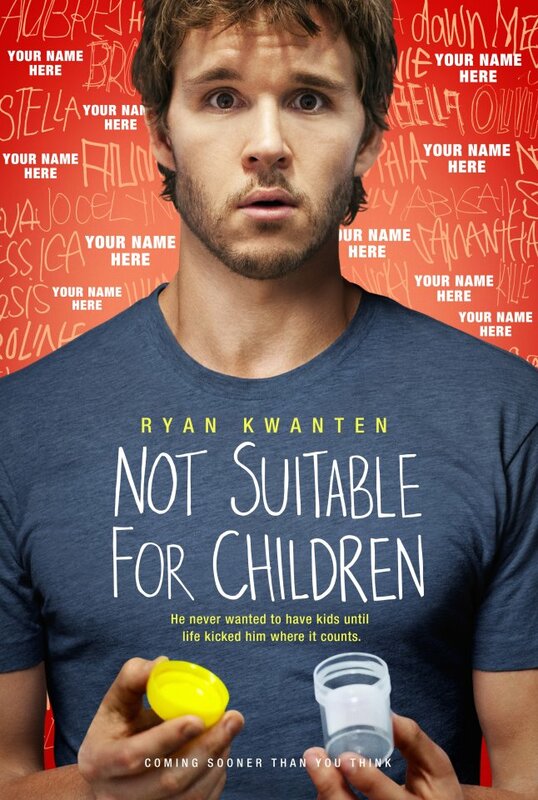 Kwanten is in fine touch as the dopey and spaced-out Jonah and Ryan Corr (Coby from Packed to the Rafters) provides wonderful moments of pure comic timing. Yet Sarah Snook as Stevie (who looks not unlike Emma Stone) gives a star-making performance, bringing genuine feeling and plausible motivations to the narrative. She's caught between her work life and a friend in need, meaning that there's a frustrating inseparability between those once neatly divided identities. If there is some degree of predictability about the narrative and the relationships, it doesn't matter because there's tension and humour that makes it feel involving and anew again. I think if this film attracts audiences like it should it will speak to the young adult generation as profoundly as modern films like Garden State (2004) have.